​adidas have released images of the official match ball which will be used for the 2019 Champions League final in Madrid, as well as a brand new boot pack which includes the Copa 19+ franchise. 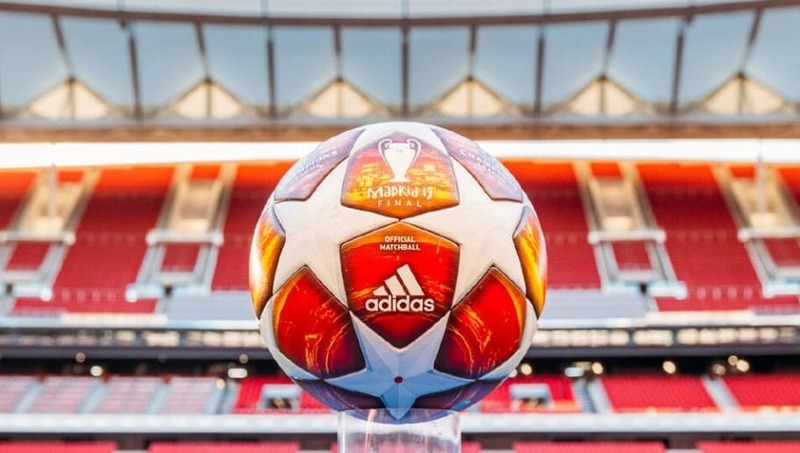 The sportswear giant have once again demonstrated their huge influence across European football by unveiling the official match ball which will take centre stage during the Champions League final at the Wanda Metropolitano Stadium in Madrid on 1 June. The bold red and white design is befitting of the colours of the Wanda Metropolitano's home side, ​Atletico Madrid. Diego Simeone's side advanced to the knockout stages of Europe's elite club competition after finishing as runners up to ​Borussia Dortmund in Group A. Los Rojiblancos went close to sealing the European crown twice in 2014 and 2016, losing out on each occasion to local rivals ​Real Madrid. With this season's showpiece event being held on their home soil, Atletico have a little more motivation to go all the way this year. Meanwhile, adidas also unveiled a glittering new boot range, with the new designs showcased by a number of European football's biggest stars. ​Barcelona icon ​Lionel Messi, ​Arsenal star Mesut Ozil, ​Liverpool superstar Mohamed Salah and ​Manchester United maverick Paul Pogba were among the star names selected to model the latest adidas boot range.